From recruitment, managing discipline and grievance, appraisals right through to dismissal, redundancies or TUPE transfers. Just practical, workable HR advice that you can utilise to your business needs. 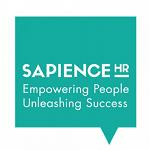 We are on a mission to redefine what human resources means to you and the ultimate success of your business so let Sapience HR take the strain when dealing with your people issues.